The first four nodes of heavy distorted bass that pump out of your speaker to introduce the first track, “Deadend Mind,” let you know immediately that Electric Mud means business, and in a big way. The trio of Hagen Bretscneider (bass, idea, sound concept), Jennart Huper (rhythm guitar), and Nico Walser (who plays all other instruments and sound alchemy, which apparently includes drums, keys, and lead guitar) at first seems like an odd division of duties on paper, but in practice it works wonderfully as that opening track which features drums, synths, piano, electronic percussion, and huge widescreen panoramic atmospheres attests as it approaches its 12 minute conclusion. Likewise, “Canary in a Cathouse” juxtaposes a beautiful soft piano intro with shredding guitar riffing, until bass, organ, and drums join in and make an intense statement, switching between soft passages and heavy guitar-driven mania over its eleven minutes. This is old school instrumental rock of the highest order: I am sometimes reminded of Eloy at their finest (circa Floating) or soundtrack-era Pink Floyd, but there is a very atmospheric component to it all that might remind listeners of TD’s Phaedra or thereabouts. The big riff is a major part of every song, incisive, heavy, and very German, but there is still plenty of space for the dreamy stuff, all in abundance. There is a brilliant jazz guitar break on “Suburban Wasteland Blues” that immediately catches your attention, then falls back on the heavy guitar driven riff. Throughout the trio utilizes samples (voices, instruments, and more, as needed) to enhance the ideas they are already driving. “Heads in Beds” starts with a beautiful atmospheric element with tasty lead guitar, not unlike Pink Floyd’s “Echoes,” then slowly morphs into an atmosperic jazzy section, then a couple minutes later jumps into a sequenced synth romp that slowly introduces the bass, drums, and guitars all over again. Throughout the piece at certain points one hears the sampled child’s voice calling out “Daddy, are you sleeping?” The entire album, but this track especially, packs an amazing amount of brilliant ideas that call on all of classic progressive rock’s best instincts. Electric Mud is Hagen Bertschneider (ideas, sound concepts, and bass) and Lennart Hüper (rhythm guitar). An what really struck me about their new album The Deconstruction of Light is the amount of changes they pack into three or four minutes. They do not seem content to leave anything alone for more than 20 seconds. The constant shifts in mood, tempo, complexity, etc. work extremely well, but these instrumentals can be overpowering. For example over the course of the first four minutes of the opening track, “Deadend Mind,” they expose us to heavy bass, swooping electronics, followed by metal prog, orchestral hits, then a mellow piano solo, followed by a Jan Hammer-esque Miami Vice section, and then a quiet interlude. And ”Deadend Mind” continues on for another eight minutes! Besides prog rock, there are elements of hard blues rock morphing into cool lounge jazz “Suburban Wasteland Blues,” a David Gilmour style guitar on “Heads in Bed,” and Berlin school electronics on “Deadend Mind” and “Through the Glass.” These guys seem to have an inexhaustible amount of ideas. 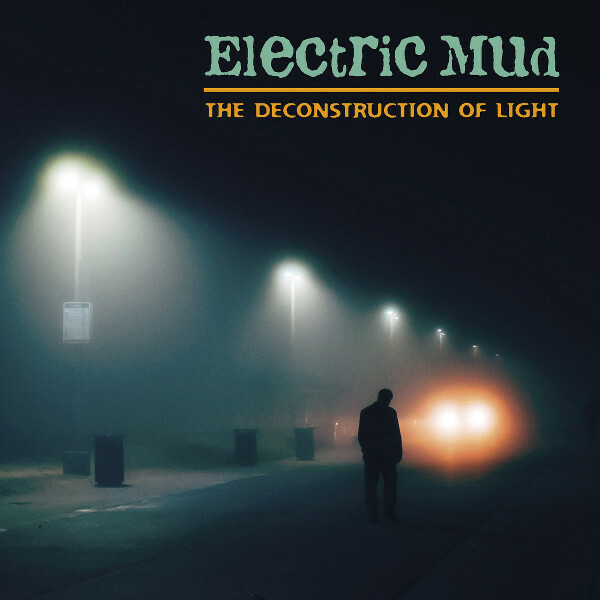 If you like your prog rock complex and constantly changing, then The Deconstruction of Light might be for you.